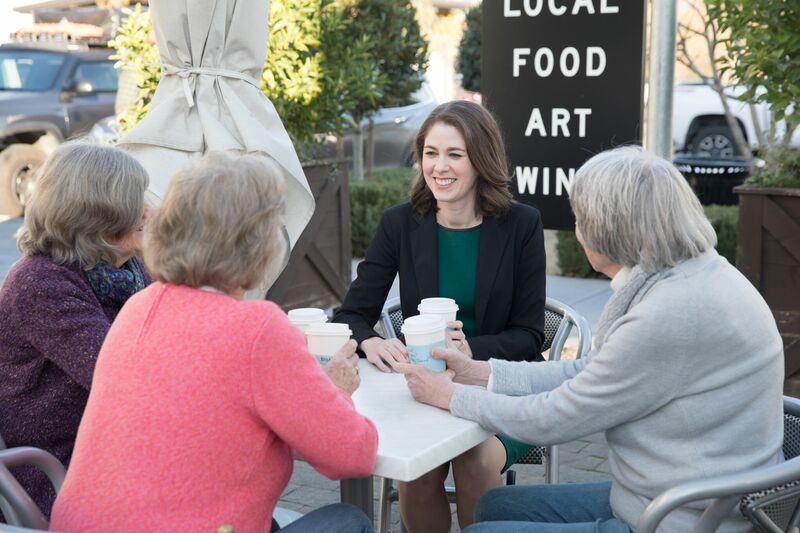 Thank you for your support of Deva’s campaign! 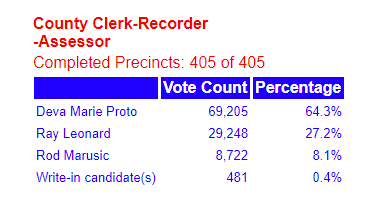 With 69,205 votes (64.3% of all ballots cast according to the final, certified results), Deva Marie Proto has been elected as Sonoma County’s next Clerk-Recorder-Assessor and Registrar of Voters! She will be sworn in to her new position in January 2019, and will be working with outgoing Clerk-Recorder-Assessor and Registrar of Voters Bill Rousseau on a transition plan between now and the end of the year. If you would like to make a donation to help retire Deva’s campaign debts, please click here. 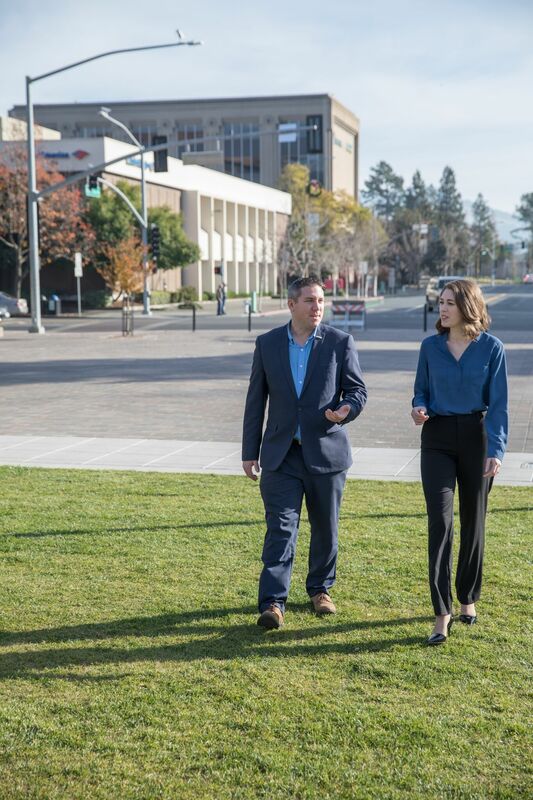 Deva talks with Councilman Chris Rogers about property tax reassessments in light of the North Bay wildfires. Deva Marie Proto manages more than 4,000 fictitious business names in Sonoma County as part of her role as Chief Deputy Clerk-Recorder. 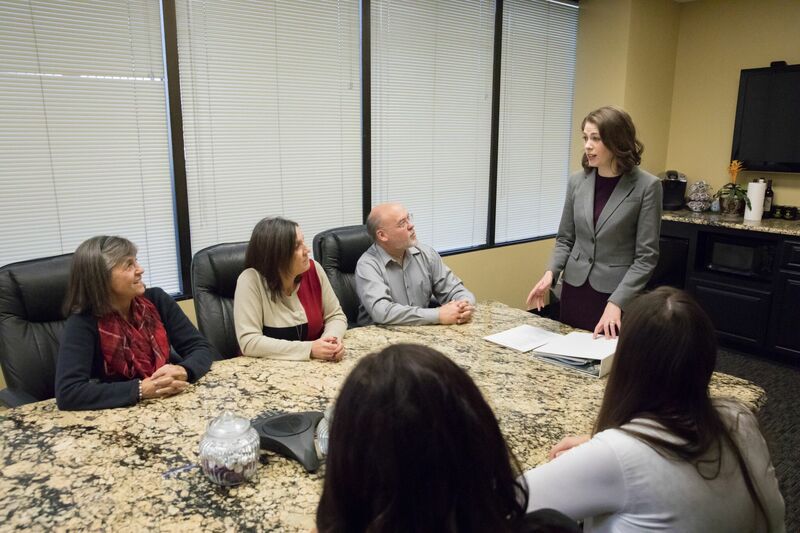 Beyond this record-keeping responsibility, Deva has been proactively involved with local small businesses to collaborate with them on ways to make the Clerk-Recorder-Assessor’s (CRA’s) Department as easy as possible to navigate. Deva is committed to building upon these partnerships to make the CRA Department more efficient for current & prospective business owners and residents in our community. 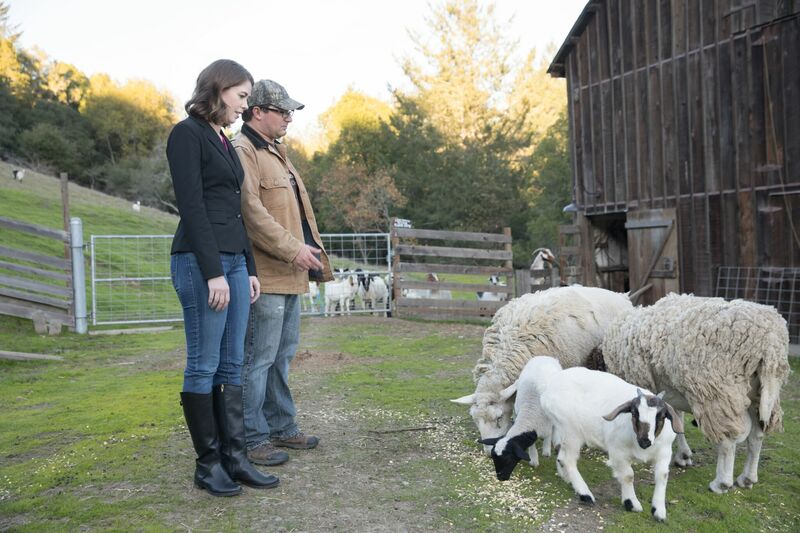 With an annual volume of over 100,000 recordings, 5,000 marriage licenses and 1,000 marriage ceremonies, Deva Marie Proto interacts with Sonoma County residents on a daily basis regarding births, deaths, marriages and other key documentation. With this day-to-day interaction, Deva knows how important it is to listen to the needs of our residents and always strive to make the Clerk-Recorder-Assessor (CRA) Department as easy as possible to understand and deal with. As Clerk-Recorder-Assessor (CRA), Deva Marie Proto would be responsible for managing property tax assessments for residential and business parcels across Sonoma County. In light of the recent North Bay wildfires, the CRA Department has been hard at work reassessing property values for many homes and businesses that were destroyed. Deva, who lives near the epicenter of destruction in the southern end of Santa Rosa’s Coffey Park neighborhood, has been working with other divisions of the CRA Department on strategic planning efforts regarding this and other initiatives. Endorse Deva Marie Proto Today! Deva Marie Proto has already earned the endorsements from every member of the Sonoma County Board of Supervisors, as well as outgoing Clerk-Recorder-Assessor Bill Rousseau and City Councilmembers in every City in Sonoma County: Cloverdale, Cotati, Healdsburg, Petaluma, Rohnert Park, Santa Rosa, Sebastopol, Sonoma and the Town of Windsor — join them today as an endorser of her campaign!